this week I will just be reviewing some skincare stuff. To start off I will be reviewing the *Dove DermaSpa range. I have sectioned them in the parts (The Daily Essentials(pictured above), the go to's and the favorites. Dove Original and Mineral Touch Roll-on. Dove says that the roll-on contains 1/4 of moisture, alcohol free and lasts for 48hours. I always have gravitated towards Dove roll-on's because they are alcohol free and now that they have introduced the moisture cream I'm sold as my under-arms are not ashy at all. The 48hour part shall be tested this Summer LOL, but over all I'm happy. 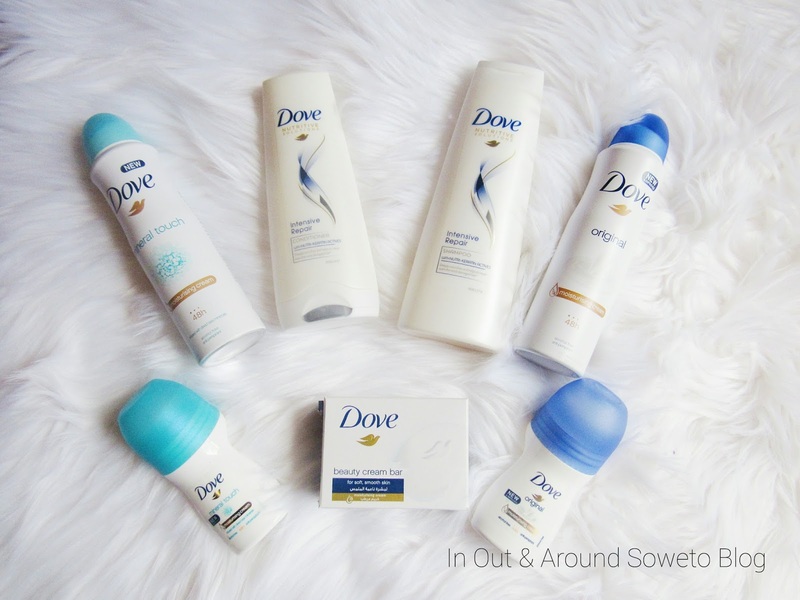 Dove Original and Mineral Touch Antiperspirant does the same job as the Dove Original and Mineral Touch Roll-on's so if you are not a roll-on fan I recommend this one. The thing that I like with antiperspirants is that they have a greater fragrance than roll-on's. Dove Intensive Repair Shampoo and Conditioner. If you follow me on Twitter and Instagram you would have noticed that I went blonde sometime in June and ooh boy the struggle has been real. My hair is now not as thick as it used to be I'm not complaining though cause I'm all about experimenting, so I continued treating my hair each week as usual and recently I have gone back to black cause I just can't blonde anymore. The shampoo and conditioner that I have been using continually are these two, my hair breakage has been minimal and they contain zero parabens guys. Dove DermaSpa Cashmere Comfort (Body Butter), if you have been following my blog forever you would know that I suffer from very dry skin and after the Vaseline PJ's you would know that I tend to gravitate towards moisturizers that cater to very, very dry skin and the Dove Body Butter does just that. One thing about the new Dove lotions is that they have a great staying power and they don't leave my skin skin feeling sticky. 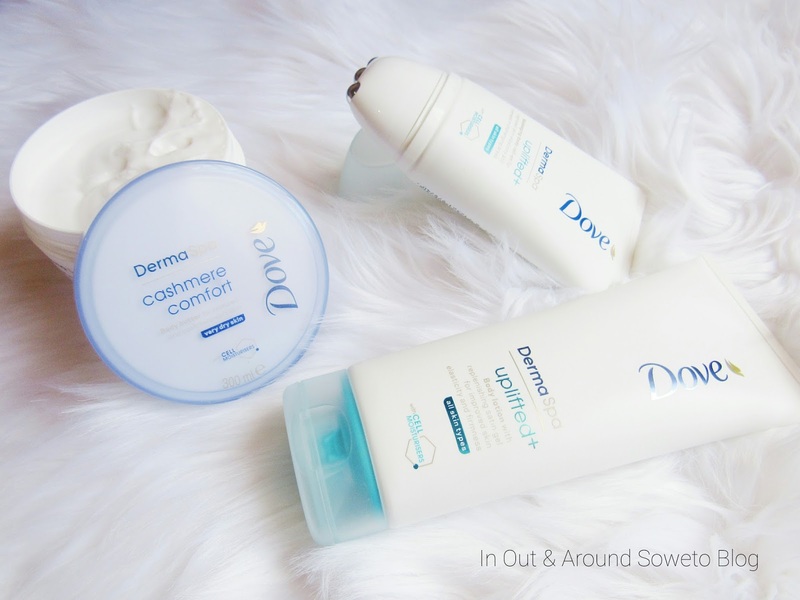 Dove DermaSpa Uplifted+ and Body lotion and Massaging body roll-on, guys the body roll is just one of those products that had me at Hello!, I have never used any massaging rolling on products before. My first thought was too much product will come out because while you are busy massaging the roll-on on your body the contents come out, and no no no! it has an on and off component which is just super and on those other days when you don't have time to use the massager just grab the uplifted+ body lotion. Dove DermaSpa goodness Body lotion and Silky body oil, these two have been my favourites this winter and I will carry on using them throughout Spring and Summer. The Silky Body Oil will be featured soon on my coming favorites video on YouTube and you will see how awesome it works on my body. 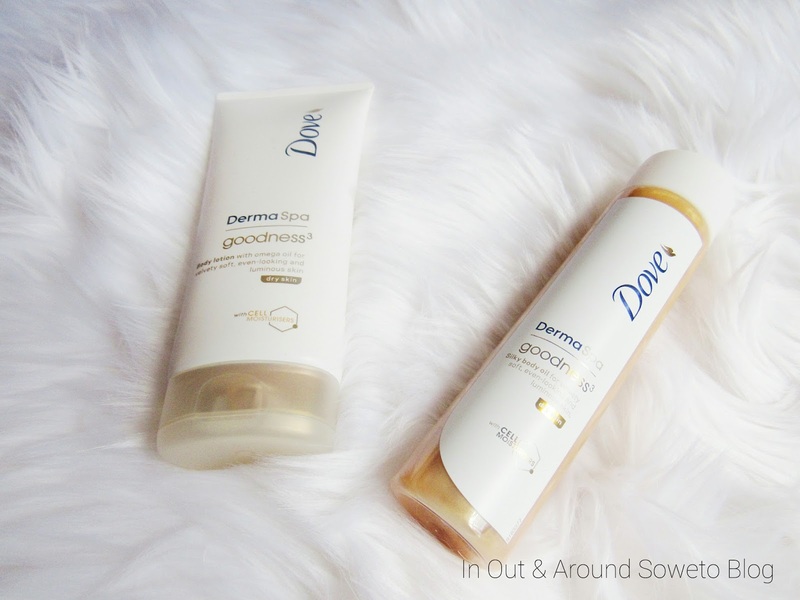 Overall the Dove range is great, whether you just want to grab the roll-on or the silky body oil I recommend everything as they are worth the buy. If you made it this far...You are a star. It is girl, you should most def try it out. I love that silky body oil and the body butter! These products are ah-mazing!